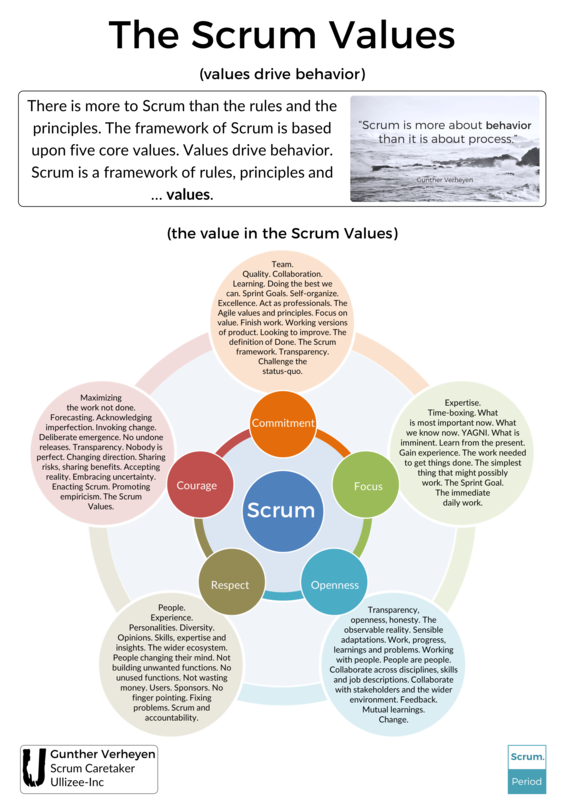 As part of an on-going translation initiative by a group of international enthusiasts I have created a poster of the Scrum Values, now available as a free download (PNG): The Scrum Values (poster). Find the slightly updated description of the Scrum Values as a separate section on this website. The Scrum Values are simultaneously needed for and emerging as part of Scrum. Values drive behavior. Scrum is a tool. 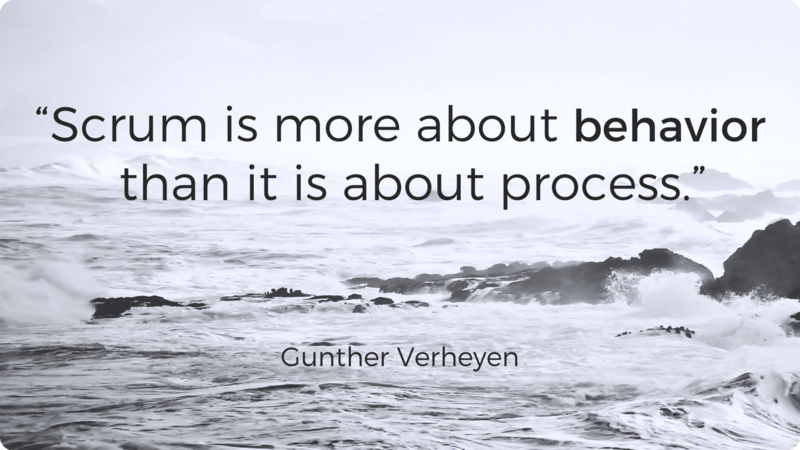 Scrum is a (servant) process. Scrum is a framework. Even more however, Scrum is about behavior.